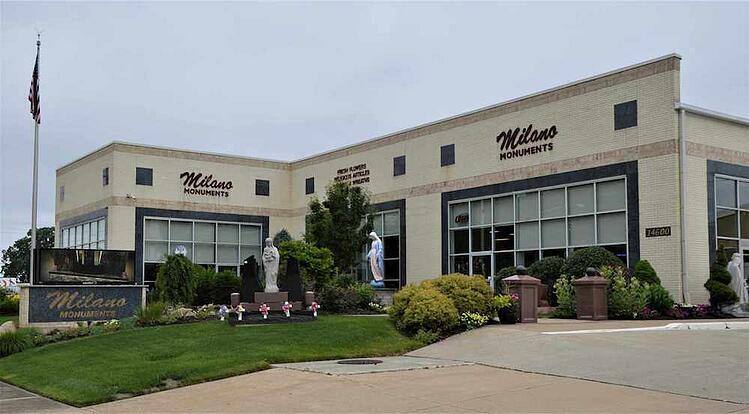 Milano Monuments memorial, gravestone, cemetery grave marker, headstone, and mausoleum showrooms are located in northeast Ohio in the cities of Cleveland, Bedford, Geneva, Mentor, Niles and Youngstown. Monday - Saturday: 9:00 AM - 5:00 PM. Gift Shop is open and our memorial specialist is available by appointment. Walk-ins welcome. Sunday Gift Shop Regular Hours: 10:00 AM - 2:00 PM. Memorial Specialist only available by appointment. Sunday Gift Shop Holiday Hours: 10:00 AM - 4:00 PM. Memorial Specialist only available by appointment on Sunday. Closed on Sundays during the months of January, February, July and August. Closed on New Years Eve, New Years Day, Christmas Day, Thanksgiving Day, Labor Day and 4th of July. Please check our Facebook page for the latest updates on store hours. View Ohio’s largest display of cemetery memorials in our 50,000 square foot facility. 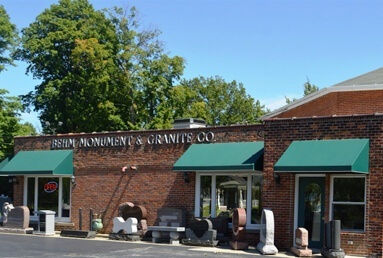 At our Cleveland location, you'll find our spacious Monument Showroom, Design Center, Granite Showcase and Stonecrafting Studio. See samples of etchings and engravings, explore our extensive inventory of granite types, and get a feel for exactly what you want. 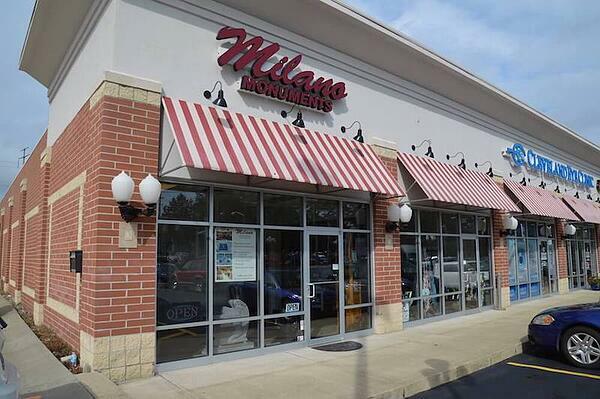 Click to learn more about our the Milano Monuments Cleveland location. Contact Jason Sanden for information on ordering a monument, gravestone, headstones, grave marker or memorial for a cemetery in the Mentor, Ohio area. 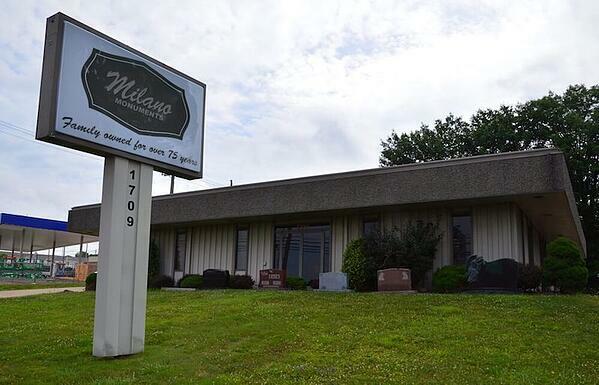 New Niles location coming soon! For assistance, contact our Youngstown location (330-758-4215) to set up an in-home appointment for your convenience.